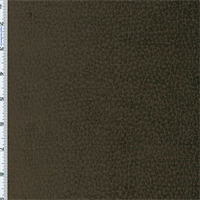 Velvet fabric by the yard and at discount prices. Triple Velvet, velveteen, cotton velvet, stretch velvet, panne velvet. 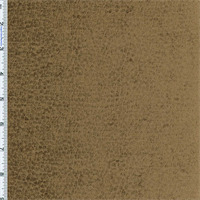 This is the velvet fabric store where you can buy velvet fabric and fabrics online. Red with a deep coppery orange undertone. Fine chenille yarn is plain woven and surface embossed with an animal skin reptile texture to create a faux velvet with a light sheen. Mid-lightweight and densely woven, Komodo is a great choice to add a fun animal pattern accent without overpowering your style. Suitable for light-duty upholstery and decorative pillows. Spot clean with water based cleaner, do not use solvents.Need a Sample? Order 1/8yd. Antique gold is an ochre yellow with muddy undertones. Fine chenille yarn is plain woven and surface embossed with an animal skin reptile texture to create a faux velvet with a light sheen. Mid-lightweight and densely woven, Komodo is a great choice to add a fun animal pattern accent without overpowering your style. Suitable for light-duty upholstery and decorative pillows. Spot clean with water based cleaner, do not use solvents.Need a Sample? Order 1/8yd. Yellow toned medium green in the olive family. Fine chenille yarn is plain woven and surface embossed with an animal skin reptile texture to create a faux velvet with a light sheen. Mid-lightweight and densely woven, Komodo is a great choice to add a fun animal pattern accent without overpowering your style. Suitable for light-duty upholstery and decorative pillows. Spot clean with water based cleaner, do not use solvents.Need a Sample? Order 1/8yd. 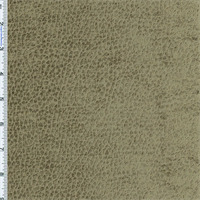 Medium stone or ivory color with reddish undertones. Fine chenille yarn is plain woven and surface embossed with an animal skin reptile texture to create a faux velvet with a light sheen. Mid-lightweight and densely woven, Komodo is a great choice to add a fun animal pattern accent without overpowering your style. Suitable for light-duty upholstery and decorative pillows. Spot clean with water based cleaner.Need a Sample? Order 1/8yd. Medium brown with golden undertones. Fine chenille yarn is plain woven and surface embossed with an animal skin reptile texture to create a faux velvet with a light sheen. Mid-lightweight and densely woven, Komodo is a great choice to add a fun animal pattern accent without overpowering your style. Suitable for light-duty upholstery and decorative pillows. Spot clean with water based cleaner.Need a Sample? Order 1/8yd. Taupe with muddy olive-green undertones. Fine chenille yarn is plain woven and surface embossed with an animal skin reptile texture to create a faux velvet with a light sheen. Mid-lightweight and densely woven, Komodo is a great choice to add a fun animal pattern accent without overpowering your style. Suitable for light-duty upholstery and decorative pillows. Spot clean with water based cleaner.Need a Sample? Order 1/8yd. Rich dark brown color. Fine chenille yarn is plain woven and surface embossed with an animal skin reptile texture to create a faux velvet with a light sheen. Mid-lightweight and densely woven, Komodo is a great choice to add a fun animal pattern accent without overpowering your style. Suitable for light-duty upholstery and decorative pillows. Spot clean with water based cleaner.Need a Sample? Order 1/8yd. Red with a deep coppery orange undertone. 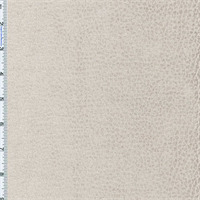 Low-pile fine chenille yarn is plain woven and surface embossed with a reptile skin design. 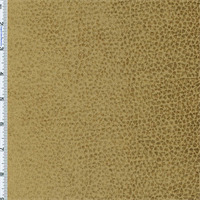 This mid-lightweight fabric is densely woven with a velvety feel and a light sheen. 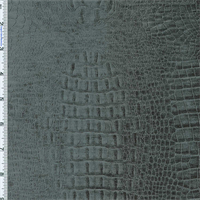 Crocodilian is a great choice to add a fun animal pattern accent without overpowering your style. Suitable for light-duty upholstery and decorative pillows. Spot clean with water based cleaner, do not use solvents.Need a Sample? Order 1/8yd. Yellow toned medium green in the olive family. 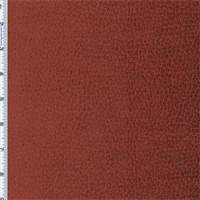 Low-pile fine chenille yarn is plain woven and surface embossed with a reptile skin design. This mid-lightweight fabric is densely woven with a velvety feel and a light sheen. 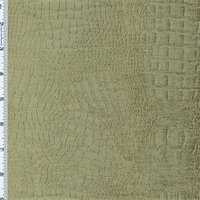 Crocodilian is a great choice to add a fun animal pattern accent without overpowering your style. Suitable for light-duty upholstery and decorative pillows. Spot clean with water based cleaner, do not use solvents.Need a Sample? Order 1/8yd. Dark cool grey with slight blue undertone. 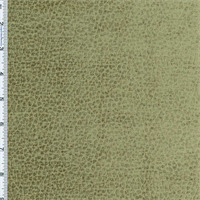 Low-pile fine chenille yarn is plain woven and surface embossed with a reptile skin design. This mid-lightweight fabric is densely woven with a velvety feel and a light sheen. 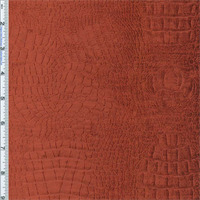 Crocodilian is a great choice to add a fun animal pattern accent without overpowering your style. Suitable for light-duty upholstery and decorative pillows. Spot clean with water based cleaner, do not use solvents.Need a Sample? Order 1/8yd.